Many countries are known for their classical cuisine but nowhere in the world, will you find a melting pot in the culinary scene like you will find in NYC. The fresh talent and diversity that the city attracts, creates a utopia for foodies like me . Luckily, The Big Apple is just a 2-hour flight away from Miami. There may be more recommendations on this list than ordinary people could eat in a weekend, but how could you resist? – Kudos to you if you can. I, on the other hand, have no self-control when it comes to great food. From perfectly golden baked viennoiserie to painstakingly decorated pastries, the French boulangerie knows how to show its patrons the French Art de Vivre! Here you will also find an assortment of savory dishes as well as To-Go food if you are in a rush. Founded by Eric Kayser in Paris in 1996, the bakery has taken the world by storm. You can find it all over New York City as well in Washington DC. Looking for a hot beverage to accompany your perfectly baked pastry? Check out these cozy places for best hot chocolate in NYC! Of course, a ramen place is a must when in New York City! Coming from a place that lacks some serious ramen brasserie, I had to stop by one when visiting NYC. Highly recommended by an UBER driver, we couldn’t skip IPPUDO NY. Come during the lunch-rush, and you will find the restaurant packed and the crowd overflowing to the sidewalk. I recommend heading to the restaurant 30 minutes before or after rush hour. The restaurant has many locations around the world – three in New York alone. The grand décor of the salon, the delicate sweets, and the vast assortment of teas make this restaurant THE place to have an indulgent afternoon tea. The Grand Salon can get very busy so make sure to call in advance to make a reservation. Tip: They have two different menus, one for set menus and one where you can order a la carte. Red Farm offers Chinese Dim Sum with a modern twist and fresh approach. Created by chef Joe Ng and Chinese food expert – how can one get the Food Expert title? Asking for a friend - Ed Schoenfeld. The restaurant has two locations: Upper West Side, and West Village. According to their website, there is one coming soon in London. If you are looking to try a particular dish, make sure to check out the location’s menu first as each location has a different menu. I went to the one in West Village. 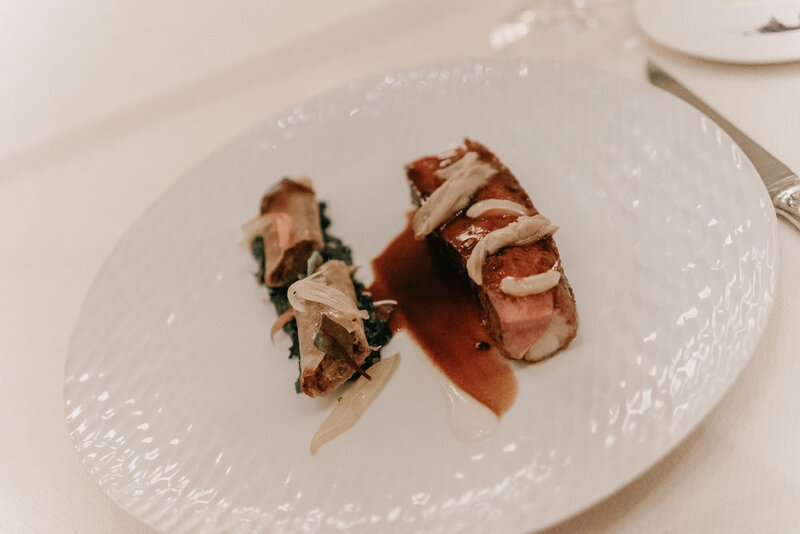 Nested in the heart of Manhattan, DANIEL by the famous French chef, Daniel Boulud boasts a 2-star Michelin rating. Their menu consists of four-course prix fixe or seven-course tasting menu. They also offer a la carte at the bar. Make sure to make a reservation way in advance. By now, you are probably sensing a theme; and you are right. 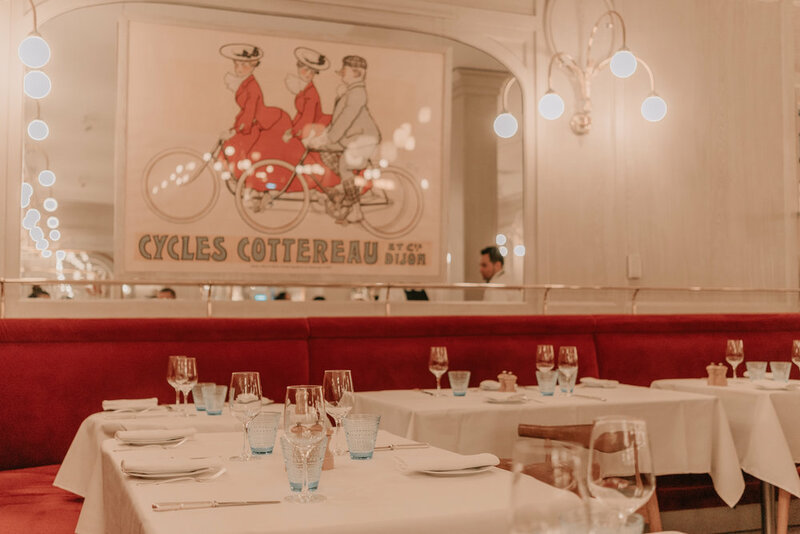 If you are looking for a Parisian feel, Benoit is the place for you. The beautifully decorated bar and retro posh ornaments offer its patrons a charming French bistro experience. Visit during brunch time, and you can indulge in their Brunch Dessert Bar. From Tarte Tatin to unlimited waffle and crepes, it will undoubtedly satisfy even the most demanding sweet tooth. It doesn’t hurt that the place is super Instagramable. With a pasta shop in-house and a menu envisioned by Silvia Barban – You might have heard of her if you watch Top Chef – the little Brooklyn restaurant is a must. And before you gasp for air in utter shock, I have tried Silvia’s cooking before, but I have yet to try this restaurant. Sorry, Silvia! I met the chef a few years ago before she opened her restaurant, and before her show appearance. I was lucky enough to have her cook dinner for me at home while a friend and I tried miserably to take notes - I guess wine and note-taking don’t mix well. I have also dined at the restaurant where she used to work and have always been impressed by her talent and love for pasta. It’s a no-brainer for me to recommend her restaurant because whatever she makes, I know it will be delicious! PLANNING TO VISIT NEW YORK CITY? PIN IT!